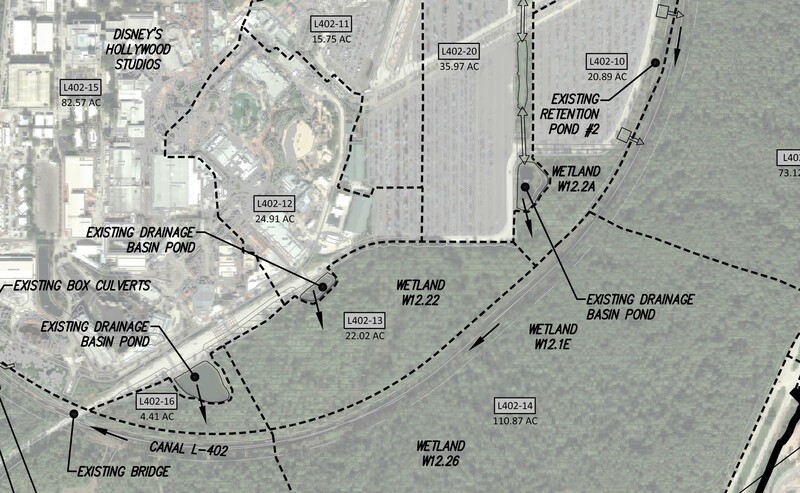 Permits filed with the South Florida Water Management District, and found by (permit guru) danlb_2000, seem to show the first real signs of planning done by Disney with regards to the upcoming changes to Disney’s Hollywood Studios. Plans call for a January 2016 start date and an October 2018 completion date. This timeline is for the work outlined in the permit and does not pertain to other work such as work occurring within the park. A closer examination of the plans shows a parking lot expansion to the South and East of the current Cast Member parking lot. This expansion covers roughly 35 acres. 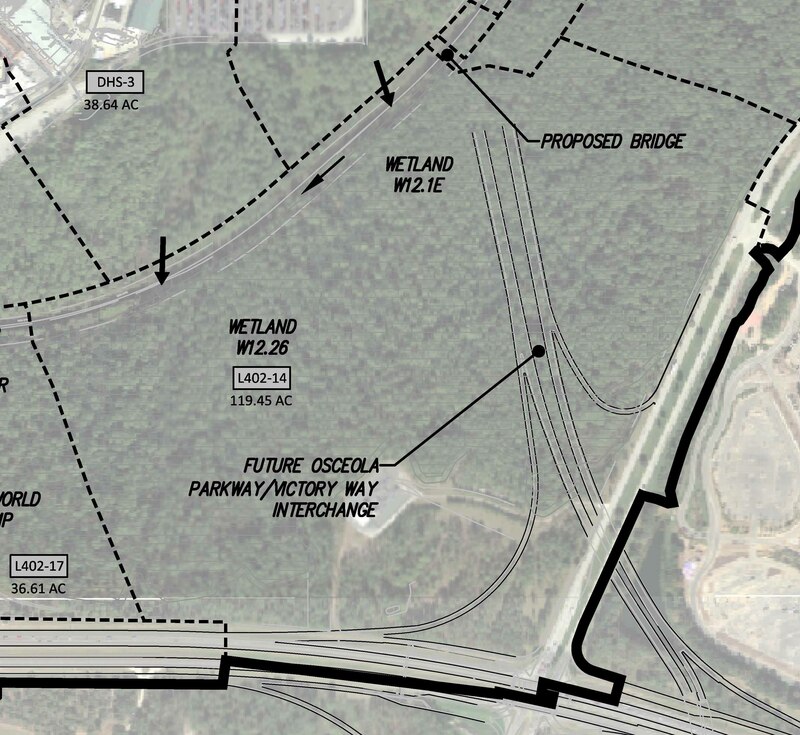 A future interchange will be located at the corner of Osceola Parkway and Victory Lane. It looks like it will lead directly into the expanded parking/new toll booth area and could serve as an important thoroughfare into the park. A rather large pond will be constructed on the West side of World Drive just past the Osceola Parkway overpass. The pond would be used for draining and the soil could be used as fill material for other parts of the project. The pond can be seen in teal in the photo below. The yellow sections represent land that is slated to be cleared or leveled in relation to this project. The parking lot expansion can be seen in the Southernmost yellow portion with a rumored toll booth relocation taking up the yellow space to the East. 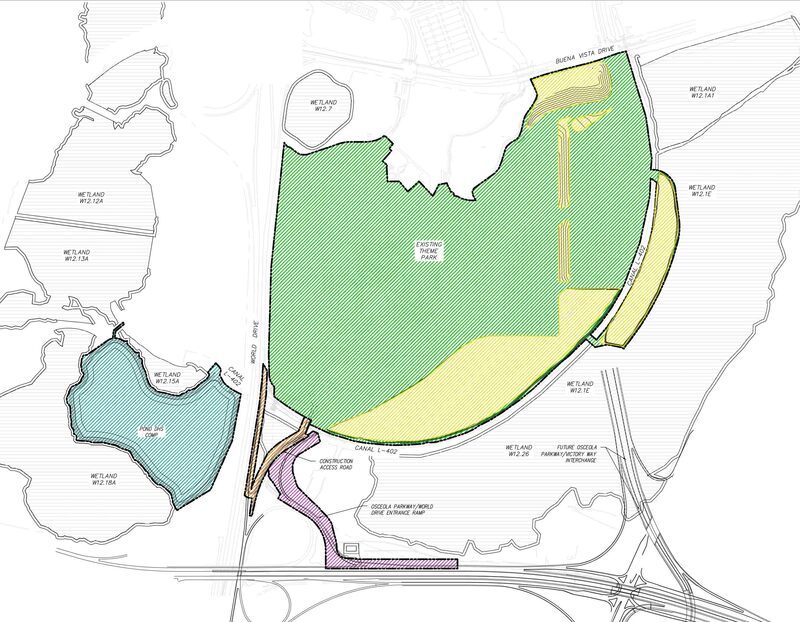 The area in pink represents a new, potentially temporary, guest entrance while the dark yellow to the left of it will be used for construction vehicles. 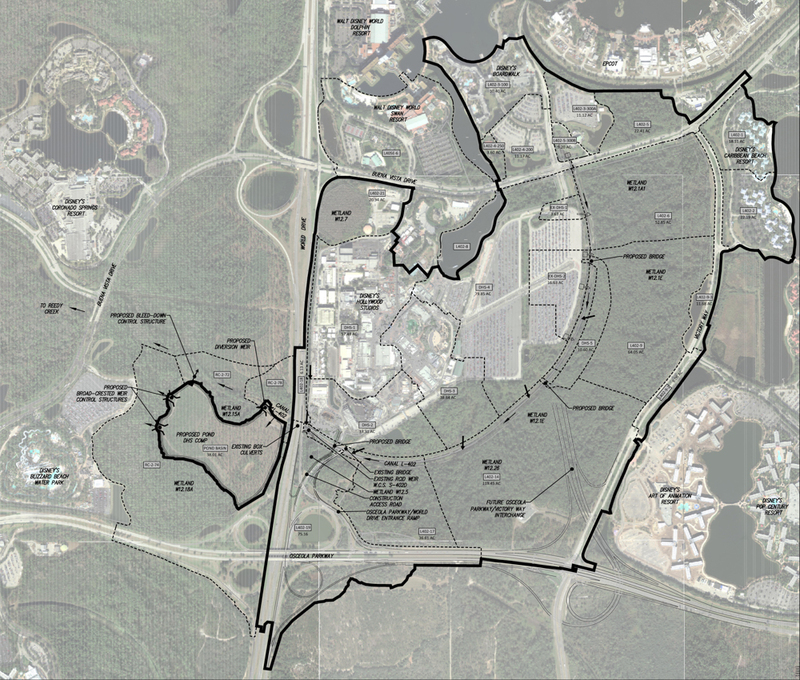 This is just the beginning of what will no doubt be a very large expansion to Hollywood Studios over the coming years. Next articlePHOTOS: MagicBand on Demand station inside the Tomorrowland Power & Light Co.